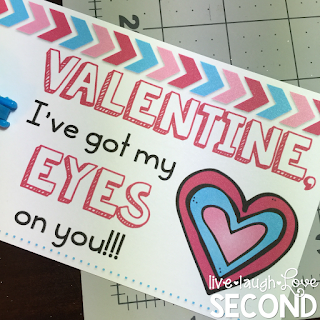 Live, Laugh, Love Second: Valentine, I've got my eyes on you! Valentine, I've got my eyes on you! Happy Saturday, friends! I spent the morning at swimming lessons with my little, had lunch with my bestest teaching friend in the entire world, and then picked up my grocery order on the way. Have a I mentioned how grateful I am for Walmart's online grocery ordering and pickup? Such a time-saver! We are supposed to get some serious snow (finally!) here in Colorado Springs, so we had to make sure and get our milk and bread! After I got home, I decided to go ahead and make up my 3-year old's valentines for her pre-k class. 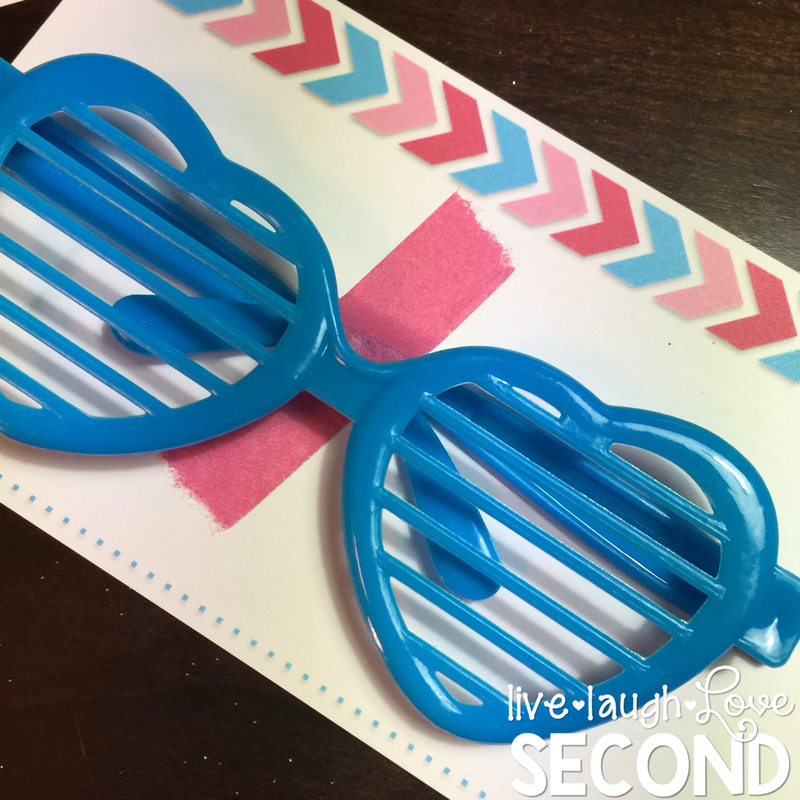 I found these adorable heart-shaped sunglasses at Target about a month ago. It was a pack of 12 for $3. I just knew I could think of something fun to do with them! I made the valentine itself in Powerpoint. The chevron border was made just by inserting a shape (chevron), copying and pasting it a few times, matching the color to the heart using the color dropper, and then aligning it horizontally. Trust me...it's really easy! The large font is KG Summer Sunshine, and the smaller font is KG Thinking Out Loud. I matched the fonts using the font pairing guide on Kimberly Geswein's blog. It's such a helpful tool! 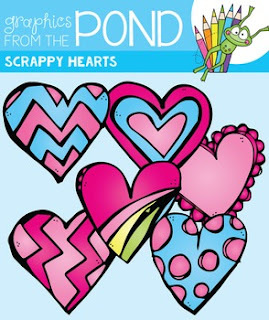 The adorable heart was part of a free clip art set called Scrappy Hearts from Graphics from the Pond on Teachers Pay Teacher. You can download it for free by clicking on the image below! And how about the final product??? I am in love with it! I just know the other kiddos will have some serious fun with these little sunglasses! 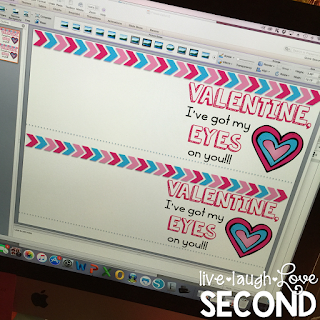 You can download a copy of the valentine off of my Google Drive by clicking HERE. I also added an editable version HERE. That way, you can add your own name! Hope you enjoy it! Have a great weekend!